It's important to ask yourself the right questions to determine what your website needs to be successful. Whether you're concerned with business-to-business, or business to consumer, whether your organization is large or small, commercial or nonprofit, these are some fundamental questions around your Website and technology strategy that should be addressed. 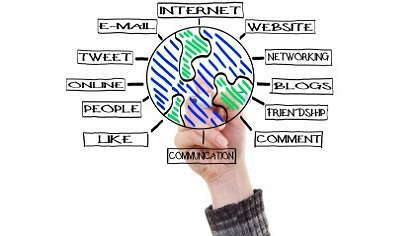 Otherwise, you risk missing opportunities, and not maximizing the return on your investment in your online presence. 1. Does your Website present an appropriate image of your company? Marketers talk a lot about branding, and consistency of message. Does your company site reflect how you'd like your customers to feel about your business? Is it sophisticated, and professional looking? Does it speak directly to visitors in language that they'll understand, and in ways that relate to their issues and needs? 2. Does your Website suggest potential for new or currently untapped markets? In almost all the sites that I've consulted for, we've identified markets or audiences beyond the "real-world" customer base of the business. This may be because the site extends the geographic reach of your marketing. If you have good content on your site, it may also be because visitors looking for your subject area find you in search engines, and come to read your articles and white papers. Either way, if you find many "non-traditional" visitors to your site, you should assess whether they constitute a possible new market area for your business. 3. Does your Website suggest potential for new products or services? A clear understanding of your visitor needs may also encourage you to consider new products or services. On the Web, bundling expertise into downloadable, for-sale content provides valuable new revenue streams for many businesses and non-profits. You can find great clues for development ideas by tracking the keywords entered into your own site search engine. These show what visitors expect to find on your site - and therefore what they expect your company to offer. 4. Does your Website provide continuing added value for existing customers? Most site owners focus on acquiring new customers, and fail to maximize the opportunities to support and service existing ones. These include password-protected areas where your clients can follow the progress of their projects, share documents with you, etc. Personalization and pre-populated forms (i.e. which are automatically filled in with the customer's details) help to create a feeling of value, and save time for your visitors. Check the average response time for a contact from your Website. One of the top complaints about major company sites is that e-mails are not answered in a timely (hopefully 24 hours or less) manner. 5. Does your Website support your internal operations and employee needs? This question relates to whether you're making the best use of all available technologies, and integrating them with your online operations. form, an application, or to submit a search on your Website, only to receive an error message. Customers want the security of an e-mailed purchase confirmation. They want to know that they'll be taken off your mailing list quickly and without the need for multiple requests. With the complexity of technology and programs today, sometimes a change to a seemingly unrelated system can wreak havoc. Do you regularly check all the input forms and processes on your site to ensure that no unexpected gremlins have crept in? 7. Does your Website provide you with a justifiable return on investment? This is probably the most important question of the seven, and possibly also the most difficult. That's because the answer depends on a clear understanding of the goals of your site, both in direct financial terms, and in other less tangible benefits, such as name recognition. The keys to evaluating ROI, to improving your site, and often to further business development ideas can be found in your traffic reports. These show what visitors are looking for, how long they spend on the site, where they go, where they leave, and what rate of response you get to the various calls to action. These reports can be daunting - a mass of figures, graphs and URL's. But I'd strongly suggest that someone in your organization should understand them. Otherwise, you're shooting in the dark with your Web investment. (c) Copyright Philippa Gamse, 2003. All rights reserved. Philippa can be reached at (831) 465-0317.